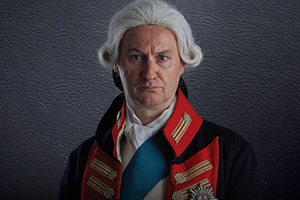 It’s 1786 & King George III is the most powerful man in the world. But his behaviour is becoming increasingly erratic as he succumbs to fits of lunacy. With the King’s mind unravelling at a dramatic pace, ambitious politicians & the scheming Prince of Wales threaten to undermine the power of the Crown, & expose the fine line between King & man. Starring Olivier Award-winners Mark Gatiss & Adrian Scarborough.